More Canadians are now using Bitcoin, but it’s mainly for investment purposes, according to a Bank of Canada study. The central banking agency released a report this month stating that Canadians are also more generally informed about the currency, which likely led to the increase in ownership. The top four reasons for Canadians owning Bitcoin, according to the study, were: purchasing it as an investment, friends owning Bitcoin, being interested in new technologies, and using Bitcoin to buy goods and services on the internet. Approximately 58 per cent of respondents cited investment purposes as their main reasons for ownership. Canadians’ level of awareness about the cryptocurrency also increased, from 64 per cent in 2016 to 85 per cent in the 2017 study. This is the second year that the Bank of Canada has conducted the study. In 2016 it found that around 1 million Canadians likely owned Bitcoin, using it mainly for transaction purposes. This past year it estimates that closer to 1.8 million people owned the cryptocurrency. 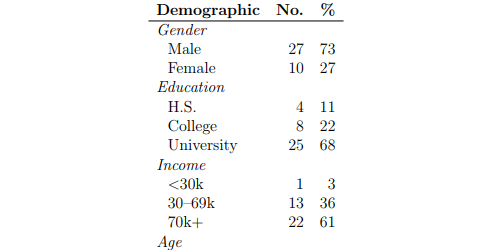 Bitcoin is most popular among the younger demographic, with 18- to 34-year-olds being the most informed and having the highest ownership, though ownership increased almost four times over among the 45 to 54 age group. The cryptocurrency is still most popular among those with a higher education and an income of $70,000 or more. British Columbians have both a high ownership rate and high awareness, which is no surprise since ITBusiness.ca reported Vancouver being one of the top 10 most Bitcoin-friendly cities in the world. However, Quebec saw the biggest jump in awareness and ownership, which may be due to the increased attention it has received globally from cryptocurrency miners. The study was conducted during an interesting time for Bitcoin, with the cryptocurrency reaching its highest global popularity yet and an all-time high in December of $19,738 (USD). Since then, however, Bitcoin has faced some struggles and skepticism about its security thanks to thefts and hacks. It reached an all-time low, dipping under $6,000, in June, according to Coindesk, though it has bounced back a bit since, and is currently trading at around $7,000. The Bank of Canada said it plans to continue its yearly analysis of Bitcoin, in an effort to understand its effect on the Canadian financial system, and may even consider other cryptocurrencies in its future studies.